CURTIS ENGINE IS YOUR ONE-STOP SOURCE FOR POWER GENERATION SYSTEM REPAIRS. After identifying the problem – whether the float switch on your day tank needs to be replaced, your transfer switch failed, or you need to overhaul the engine – we will provide a written quote of the necessary repairs along with our recommendation. We then assign one of our most experienced technicians to plan and oversee the work. Additionally, we can provide and hook-up one of our rental gensets to keep you protected while the repairs are being performed. 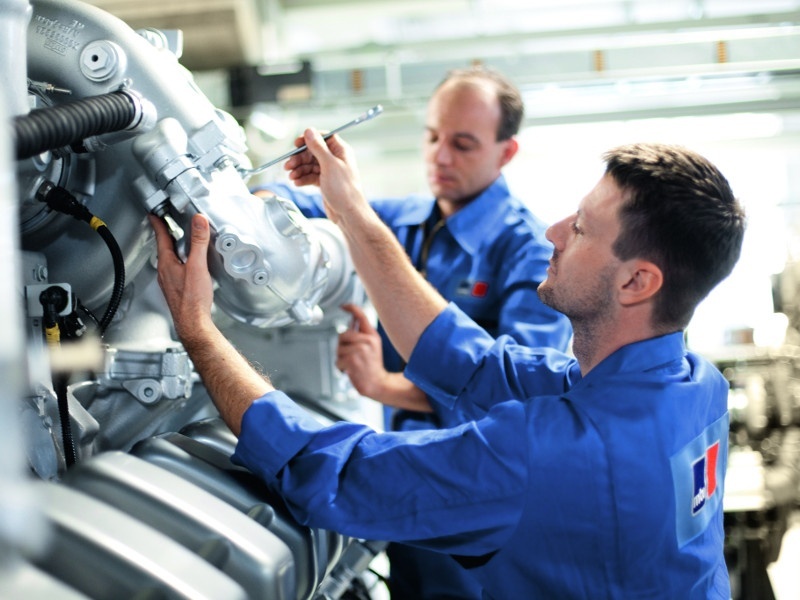 They are trained on the whole system and capable of troubleshooting and diagnosing most repairs on most major brands of equipment, whether electrical or mechanical. Most repairs are performed in-place at your site. For jobs such as major overhauls, rewinding generator ends, or re-coring radiators, we bring the component back to our shop to complete the repair. We use reputable machine shops, new and remanufactured OEM parts, and factory-trained technicians for all of our repairs. We take great pride in handling older hard-to-service generator sets and engines. To keep active vintage systems functioning, we offer a variety of re-manufactured, rebuilt and new-in-box replacement parts. We can also upgrade many out-of-date components and legacy control systems that featured proprietary software to new modern open architecture digital generator controls. Before you replace your old generator set, let us check to see if repairs or a rebuild is a better option. If replacement is necessary, we can provide a new system or new system component to suit your requirements and budget. Please contact us for a free quote.